This user is an administrator on the wiki. This user has been on UESPWiki for 9 years, 9 months, and 30 days. This user is knowledgeable about Oblivion Mobile. This user is knowledgeable about Stormhold. This user is knowledgeable about Dawnstar. This user has made a grand total of 39,684 edits in 3590 days. This user stands by The Ebon Arm. 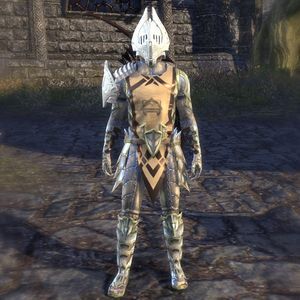 This user is the guildmaster of the UESP ESO guild on the European PC server. This user worships Mehrunes Dagon. This user is a Tigerboy. This user owns Velothi Reverie. This page was last modified on 2 July 2018, at 18:18.